The LANCOM 1790-4G gets you connected, whatever type of Internet connection you have on-site—be it a fast connection via LTE/4G, or external modems backed up by LTE/4G. 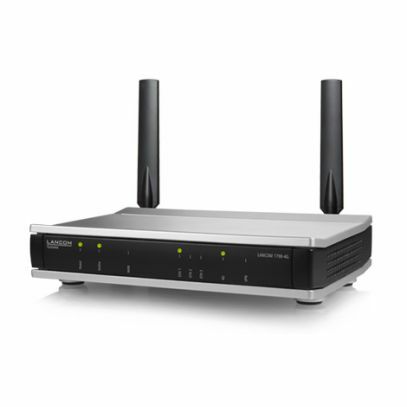 For example, at locations without a wired Internet connection, the LANCOM 1790-4G offers a professional-grade primary Internet access based on the mobile communications standard LTE Advanced. This offers up to 300 Mbps for fast data transfer and, thanks to VPN, secure connectivity for offices, stores, or employees at their home offices. With an external modem operating at the Gigabit Ethernet interface, the integrated LTE Advanced modem offers a secure backup if the primary connection were to go down.